KOUGH, PATRICK, builder, architect, politician, and office-holder; b. c. 1786 in County Wexford (Republic of Ireland); d. 9 Nov. 1863 at St John’s, Nfld. Patrick Kough came to St John’s about 1804 as a boy with little education; he became a carpenter, and later a successful building contractor. He built the stone court house and jail at Harbour Grace in 1830–31. Shortly after finishing it he replaced the roof of the newly constructed Government House in St John’s after a wind storm had blown it off; his completion of the court house on time and for the stipulated price had earned him the job. In 1826 Kough had become captain of the fire company founded in St John’s that year. He was also a member and officer of the Benevolent Irish Society and at various times served as chairman, treasurer, and secretary of the society’s Orphan Asylum school after it opened on 17 Feb. 1826. By 1833 he was president of the St John’s Mechanics’ Society. Appointed superintendent of Newfoundland’s public buildings in 1834 at £50 a year, Kough continued in this position until his death. 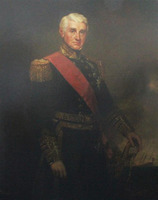 From 1847 to 1849 he was superintending inspector for the construction of the Colonial Building, opened on 28 Jan. 1850, where the assembly met until 1959; he had been influential in having the site of this building changed from that of the present court house, a wise decision since the steepness of the latter location was not suitable for the Grecian design. Kough’s government appointment evidently allowed him to work on other contracts in St John’s. In 1835 he built St Thomas’ Church [see Wix]; he supervised the building of an addition to the Orphan Asylum in 1841 and the rebuilding of its school in 1857, as well as the construction of the convent of the Sisters of the Presentation of the Blessed Virgin Mary in 1850 [see Molony]. In the first assembly election under representative government in 1832, Kough, a Roman Catholic, ran for one of the St John’s seats, against Reformers William Carson* and John Kent*, who were actively supported by the Roman Catholic bishop, Michael Anthony Fleming*; Kough, Kent, and William Thomas were elected. After his defeat Carson petitioned unsuccessfully for Kough’s disqualification from the assembly because he had worked on government construction jobs before his election, but the house dismissed the petition. No rules had been enacted about disqualifications; Carson himself was drawing a salary as district surgeon when he was elected in a by-election of 1833 and the colonial treasurer, Patrick Morris*, was sitting in the assembly. During the next three years Kough was a prominent and active member, serving on committees dealing with the fisheries and with finance. In the next general election in 1836, Kough and two colleagues of the mercantile party, Nicholas Gill and John Thomas Grieve, were bitterly opposed by the leading Catholic clergy and by most of the Roman Catholic population of the town. 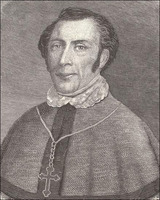 Kough and his Catholic supporters were dubbed “Orange Catholics” and in some instances were denied the right of attending church and the use of the sacraments. On the day of the election Kough and his colleagues resigned from the contest, alleging intimidation, and joined in a petition to declare the election void. When a new election was held in 1837 Kough, like some others of the mercantile group, did not run. In November 1836 he had sued Robert John Parsons *, the pro-liberal editor of the Newfoundland Patriot, for libellous statements made in that paper and was ultimately awarded £100 in damages. 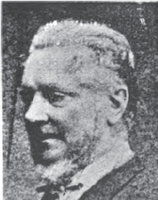 Kough was not again active in the political life of the colony until 1860–63, when he sat in the Legislative Council. Kough was interested in farming; he developed a large farm, Ken Mount, on the western outskirts of St John’s, and for a time in the 1850s was president of the Agricultural Society. He also served on the Roman Catholic Board of Education. His widow Mary, two sons, and six daughters survived him. PANL, Nfld., Dept. of Surveyor General, W. R. Noel, “Plan of St. John’s” (1849). PRO, CO 194/95–99. Newfoundlander, 23 Aug. 1832; 28 Feb., 14 March 1833; 12 Nov. 1863. Public Ledger, 11 Nov., 27 Dec. 1836; 16 May 1837; 20 Jan., 3 March 1857. Royal Gazette (St John’s), 18 Feb. 1828, 1 Feb. 1859, 17 Jan. 1860. Gunn, Political history of Nfld. H. W. LeMessurier, The Church of Saint Thomas and its rectors, 1836–1928 (St John’s, ). The story of the Colonial Building, seat of parliament from 1850 to 1960, now the home of the Newfoundland and Labrador provincial archives ([St John’s], 1972). Fabian O’Dea, “KOUGH, PATRICK,” in Dictionary of Canadian Biography, vol. 9, University of Toronto/Université Laval, 2003–, accessed April 24, 2019, http://www.biographi.ca/en/bio/kough_patrick_9E.html.